Travis is fading away – literally. He feels alone in his predicament and is scared of the hungers it has awakened within him. His condition is not a secret; someone is coming for him. Slaves of God is an interesting idea. Part horror story, part coming-of-age, it tracks the flight of two teenage boys across the country from a determined killer. Travis is a seventeen year old who has started to discover he is victim of a strange condition where he starts to disappear. The condition is accompanied by some unwholesome more-than-sexual appetites directed at fellow classmates. Peter is an orphan residing in a home. He is intelligent but a loner – damaged by an encounter with a killer years before. The opening chapter of the book was well constructed; a wolf in sheep’s clothing, a brazen act of violence and a casual departure. The scene certainly grabbed my attention and put me on my guard for an exciting read. The mystery surrounding Travis’ illness promised a journey down a dark road and I was interested to see how Peter was going to fit into the central story. Basically, I liked how the author set the story up and was eager to see where he would take it. Unfortunately the story didn’t really live up to the promise of the opening chapters. Firstly, I had a problem with the consistency of characterisations throughout the novel. The issue was most evident in the portrayal of Father Death. At first, we experience a very calculated and cold killer. As the story progressed, we experienced more of his background and understood his “vocation” a bit better, but his mission was tainted by his sympathies. He couldn’t forget the human side even as his resolve was unwavering. But at some point, this seemed to be discarded and there was a cruelty and ruthlessness apparent which didn’t gel. If a thought process had been provided to show a transition of states perhaps it wouldn’t have seen so disjointed, but for my part, I just felt that the character had become a jigsaw puzzle whose pieces did not actually fit together – like his earlier aversion to nursing homes because they reminded him of hospitals, later discarded by a glee in carrying out an execution in a hospital. Peter was not immune to inconsistencies in characterisation. In particular, we experience an intense shyness Peter has in showering with other boys. He showers earlier or later to try to avoid sharing the facilities with other residents of the home. All of this is somehow forgotten later in the story as he strips down in a public restroom in front of Travis to bathe himself. These kinds of inconsistencies suggest to me that although the characters were important to the author in creating the story, he didn’t really get to know and understand them. While consistency of characterisation within each character was an issue to me, the voice each character lent to the narrative was a bit too homogeneous. Again Father Death and Peter featured, most evident in their reference to people and places. An example that remained in my mind was the references to small country towns. Both characters used terms such as “shitsplat” or “buttcrack” as descriptives. Perhaps if the attitudes and terms used weren’t so distinctive it wouldn’t have been a point of focus for me. As it was, I started to think that the author had momentarily forgotten that these were two very different characters. And while mentioning these small towns, it was jarring that the imaginary town of Bippy seemed to transport itself between Iowa and Nebraska during the story. A small consistency issue with a town’s location was not seriously detrimental. However, as the narrative progressed, the situations themselves became more absurd. Serious injuries are suffered and although the author can’t seem to decide whether these injuries are broken bones or fractures, oscillating between both descriptions as if there were no difference, the actors continue their stunt work hampered but still able. It’s bizarre to be made aware of someone’s fractured limbs and then read of them jumping into a car and speeding down a road. It’s not like the author forgets these injuries exist, we’re reminded of blinding pain and almost losing consciousness – and yet the action continues. There was a real direction to this story, an aim. When this was revealed it was a bit difficult to understand its feasibility. It was, at best, a stress on my suspension of disbelief. But, absurdity builds on absurdity. While Father Death takes himself out of the story, Travis introduces strange metaphysical discoveries that I suppose I could gloss over in an impatience to discover the darkness behind the killer, alluded to but never revealed. However, revelation brought not satisfaction, merely acute disbelief. Motivations dribble like nonsense from various characters, the finale not aligning logically with any aspect of the story preceding it. Overall, it’s hard to give any kind of positive assessment other than the fact that there was a basic idea or premise that I thought quite interesting, a fantastic opening chapter and competent prose. But that isn’t enough for me in this case. Whether characters were expected to be of one dimension or three, I expected some kind of consistency and the plot really needed to make some kind of sense. Without that, the enjoyment I might have experienced watching the coming of age of Travis and Peter and the ill-fated trajectory of Father Death didn’t actualise. 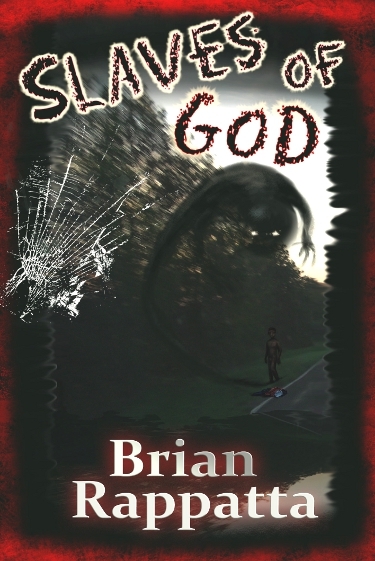 This entry was posted in 2, Horror, Novel, Reviews and tagged Dark Fantasy, Horror. Bookmark the permalink. You may like to revise your comments regarding fractures and broken bones – they are indeed the same thing. If in doubt, Google it, there are plenty of confirmation links – or ask your doctor. Yes there many possible types of fracture, but any broken bone is also a fracture. You’re absolutely correct – the terms are interchangeable and that was my mistake. I won’t change the review itself so that your comment makes more sense, but I acknowledge that it’s an error.